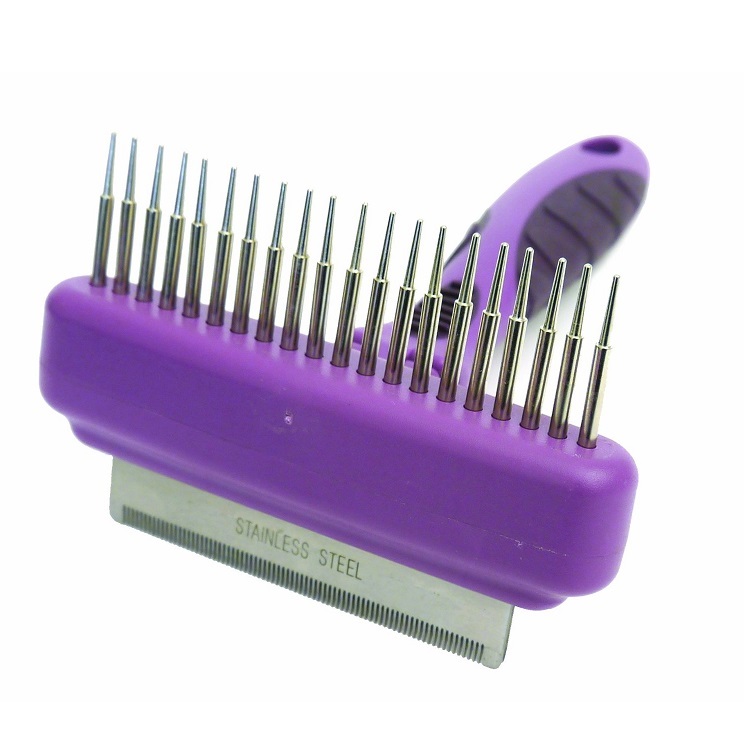 Comb & Moult Stoppa, the perfect dog De-shredding & Comb in one. 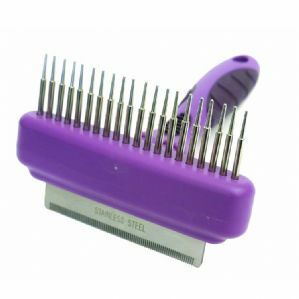 The Combo brush from Rosewood contains a comb which removes dead hair and knots while on the opposite side is the rake which carefully removes shedding fur without upsetting healthy fur. This Combo Combe is suitable for short to long haired dogs and cats. Comb removes knots and dead head. start from the head.